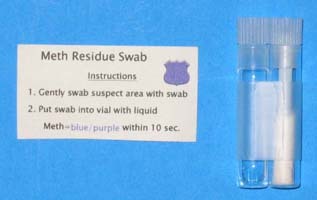 if color turns orange to brown, perform methamphetamine residue swab test. gently wipe suspect area with wick. place wick into vial with liquid.